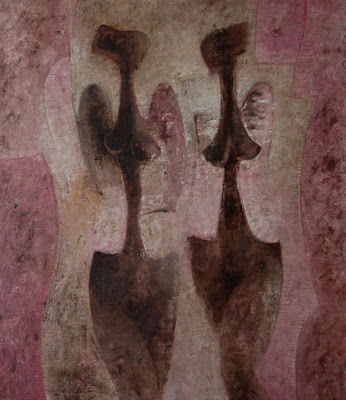 Though it is said that Mexican artist Byron Gálvez (1941-2009) considered himself a sculptor, he was also an accomplished painter. 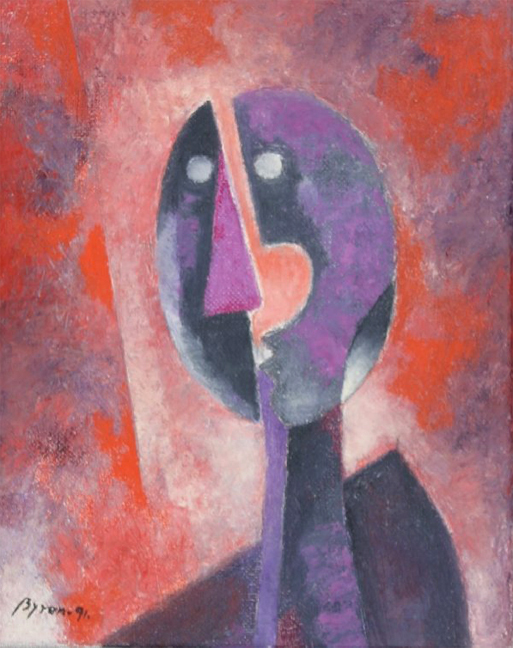 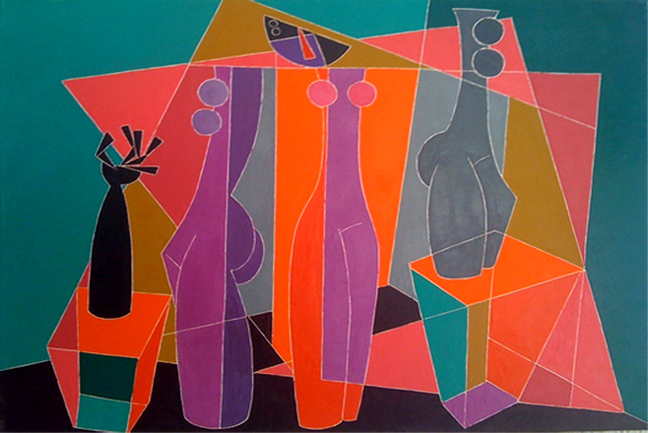 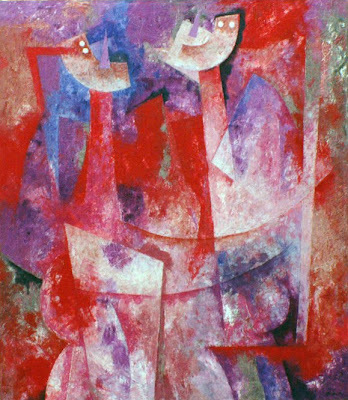 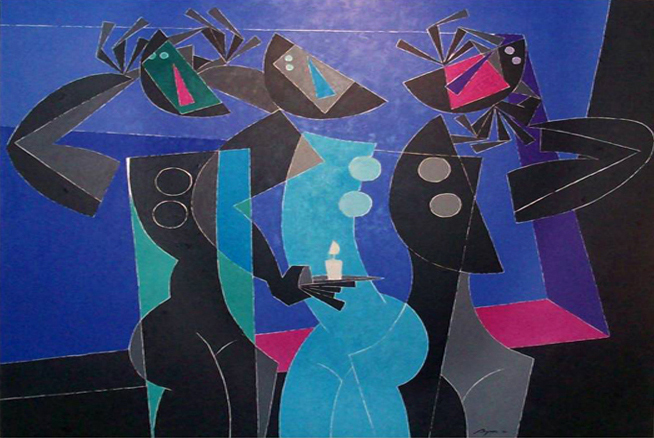 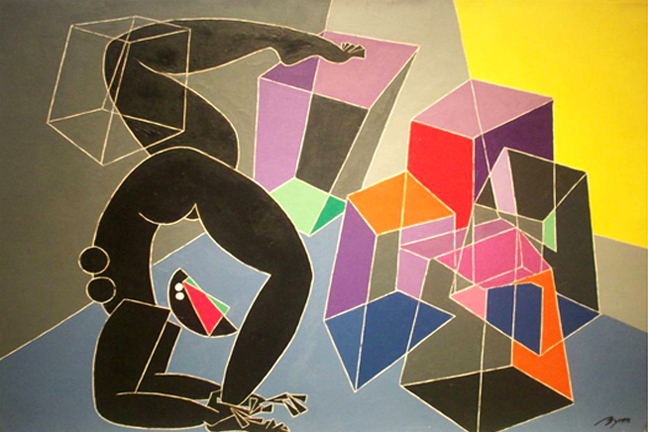 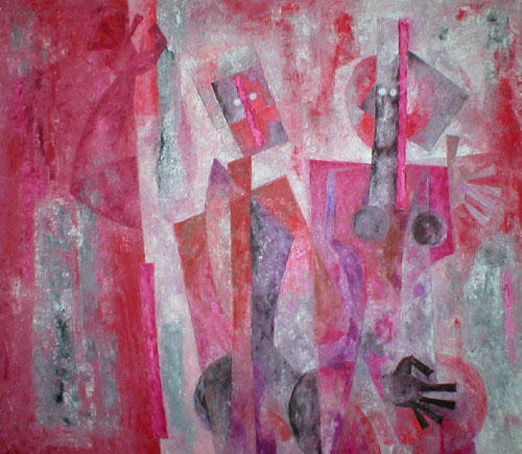 His paintings combined cubism with vibrant colors and blending techniques inspired by his Mexican heritage. 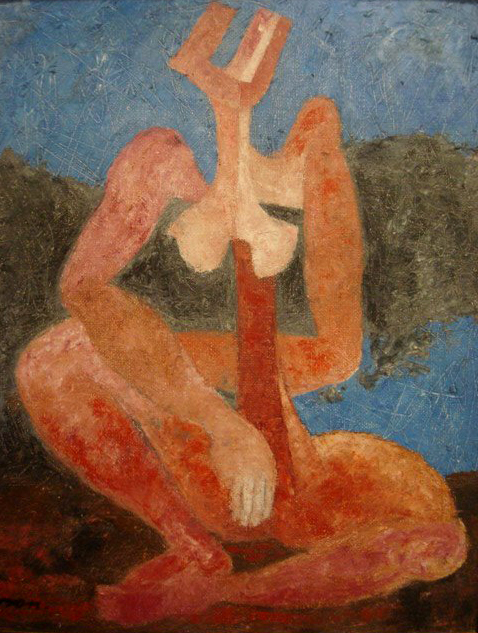 Born into a creative family, he knew at a young age he wanted to be an artist. 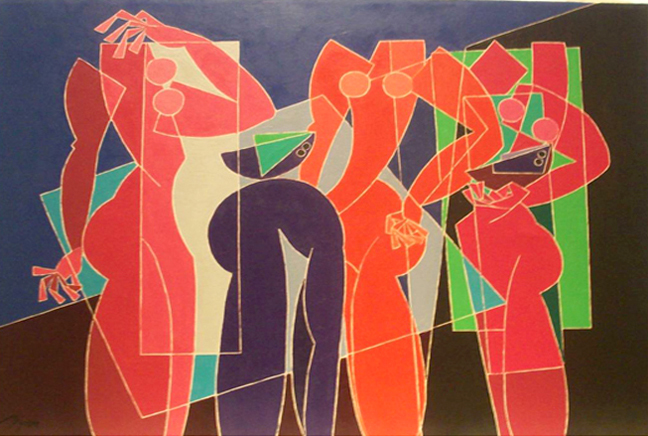 At 16 he left home to study painting under Antonio Rodriguez Luna at the Academy of San Carlos in Mexico City. Byron had his first solo exhibit in 1964 and has since had over 55 individual and 75 group shows throughout the world. 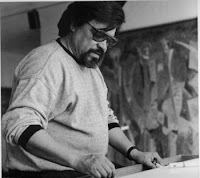 For more information about Byron Gálvez check here and here. 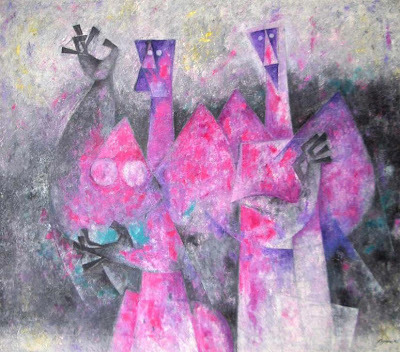 If you like Byron's paintings, have a look at my previous post on Mexican artist Pedro Coronel whose work was similar.